Did we see magic or illusion in this show? There is a lot to like about Jason Wonders and Scott Stunz. They combine a boy-next-door, funny uncle persona with that of confidence tricksters; the sort of people around whom you need to keep your eyes open ALL the time! 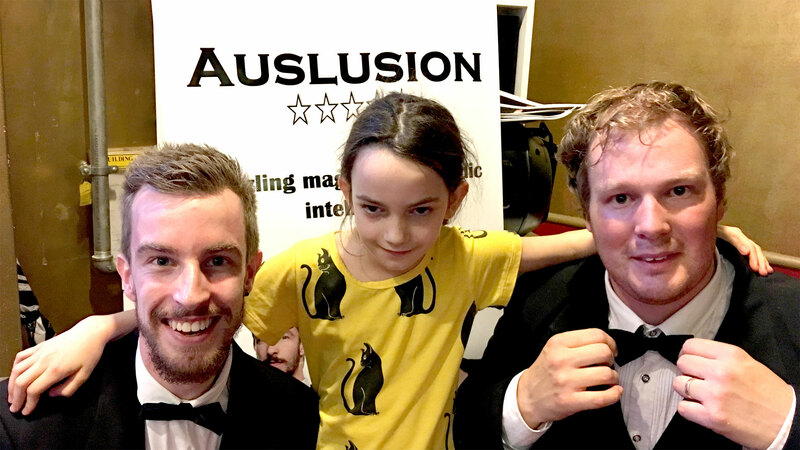 There is a beautiful interplay between actual illusion and pseudo illusion, set up to go wrong for laughs so as to disarm our observations and meddle with the curious skepticism many of us bring to shows like this. In fact, amid the comedic banter there is meta commentary from the performers akin to a wink to the audience acknowledging our rights to be skeptical about magic. There are even subtle suggestions that they want us to know that they know that we might know that this is all sleight of hand, but on the other hand, is it really, why, yes of course it must be but how did they do that? It was good to see a full house at the Twin Theatres and also good to see children making up about a quarter of the audience. Don’t get me wrong, though. This is not kids’ entertainment but rather entertainment for its own sake that just happens to be suitable for all ages. 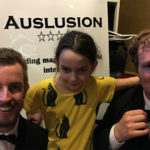 The Adelaide Show’s own voiceover artist and interviewer of famous authors, AJ Davis, who is eight, enjoyed the show and participated in one of the many, many opportunities for audience involvement. AJ particularly enjoyed the egg and the silks trick. She and I both understand the theory of what happened but we didn’t see it take place. And this is the essence of the show. These guys affect a bumbling demeanour from trick to trick, set up to set up, and before you know it, you have seen a trick, seen a decoy, and then had a reveal. There were good bouts of hearty laughter and appreciative applause in this hour of unrelenting sleight of hand, card tricks, and illusion. With their opening show under their belt and nerves now at bay, I’m expecting the remaining shows will be solid, down-to-earth fun for family Fringe audiences where even the most hardened and experienced of magic watchers will find themselves wondering, how did they do that?